MEXICO JEWELED CROSS 2 Escudos NGC 58 1715 FLEET GOLD PIRATE TREASURE COINS We are humbled to offer such an incredibly RARE SET of “JEWELED CROSS’,” both a 2E 1679-98 Certified NGC 58 and a 1 E 1690-1701 Charles II’s NGC 55, both Certified from the “1715 FLEET!” The 1E is from the discovery in 2013 from the “One Escudo Pile,” a rare discovery of all 1E’s together (some where actually packed into a cannon, which is a smart way, if time allows when you know you are sinking” to put the Gold into a cannon with is much easier to located under sea water). The 1E also comes with a Queen’s Jewels COA and the “Diver’s TAG!” The 2E “JEWELED CROSS” is really quite astonishing! The CROSS is nearly Perfectly centered and the Jeweled dots within the cross are almost completely visible (Rarely seen)! In addition each Cross Axis is completely intact, again, very atypical. Almost the complete Tressure is intact as well. 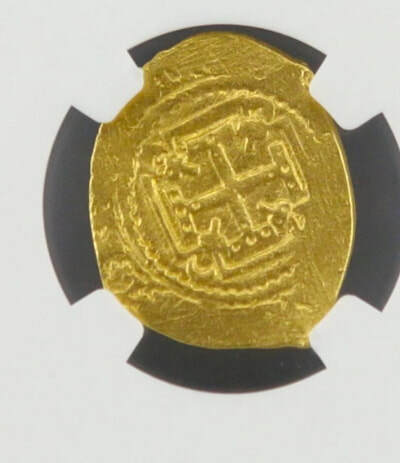 The obverse is also basically perfectly centered and the Shield is completely Struck and visible! You can even see the bottom of the Crown, which is unheard of, really an amazing piece! This piece is extraordinary for several reasons!!! First, it was One of Two pieces that we know of from the 300th Anniversary FLEET discovery! 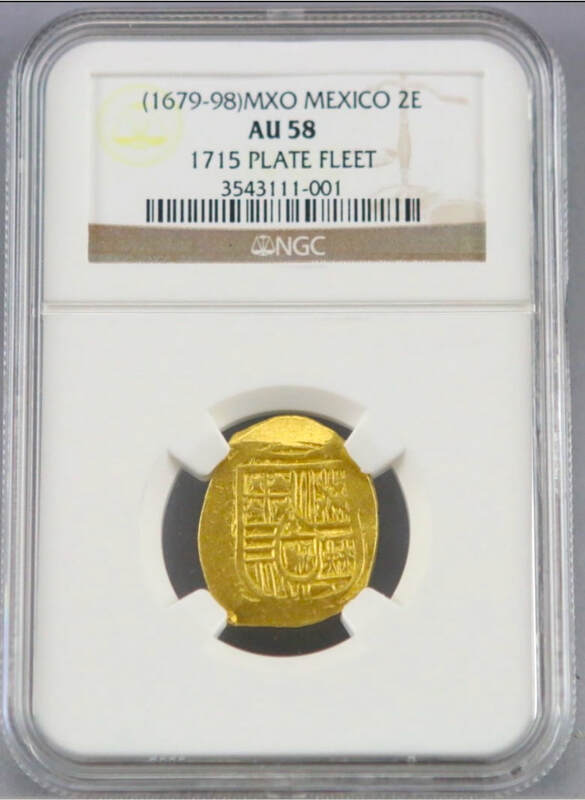 Secondly, it has the “JEWELED CROSS” that most collectors will ONLY see maybe once in their lifetime – Extremely Rare and here’s why ~ Mexico opened up their first mint in 1535 (remember Cortez came to Mexico in 1519 and by 1524 he had conquered the AZTECS). 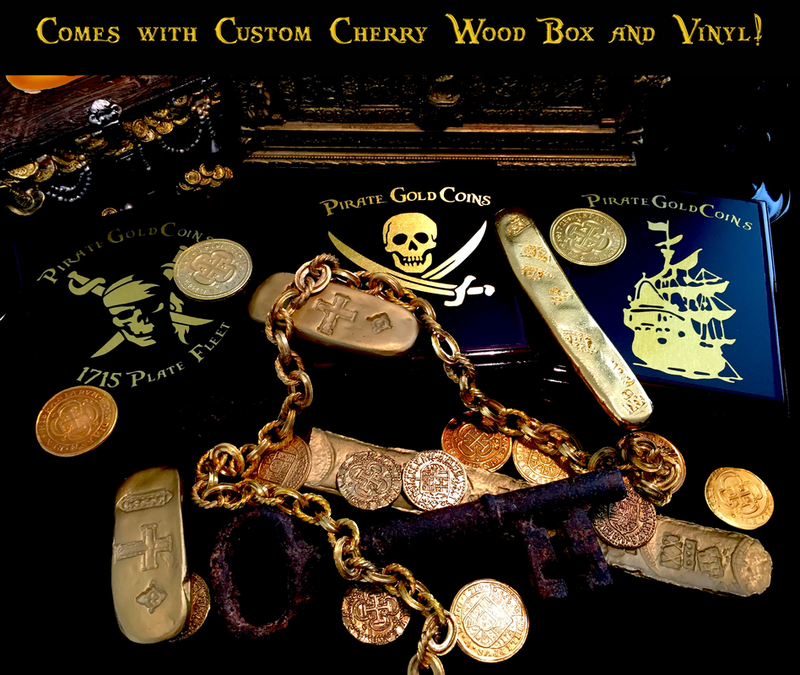 It was Not until 1679 when they stuck the FIRST GOLD coin (Cob), and their FIRST CROSS design was…. You guessed it, the “JEWLED CROSS!” They did not keep this design very long and there are Very few examples remaining to our knowledge. This piece in particular has incredible LUSTER, just amazingly bright for 300+ years old. This is rarely seen on any coinage from 300 years ago, now add that it’s a CHARLES II (which of course died in 1700). I believe this coin is probably from 1690 or 1691. 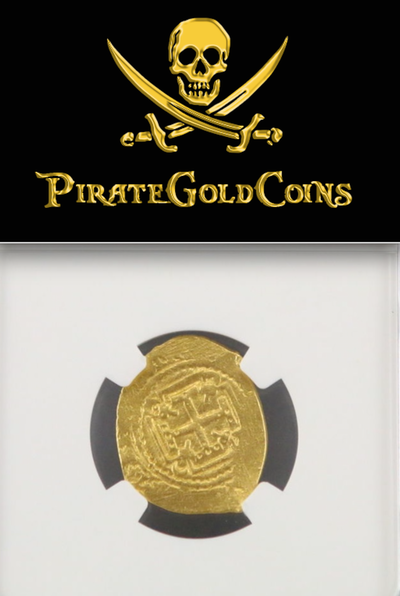 Also, there was a famous discovery in 2013 of Only 1 Escudos (this piece was from that find). There were not very many and probably only 2 pieces that were “JEWELED!” If you own any Cob you are the owner of a very rare Gold Doubloon, but even the most collectors of Gold Doubloons / Cobs do not own a “JEWED CROSS,” nor have they ever held one or probably ever even seen one! Truly a Trophy piece for even the most advanced collection! This is an incredibly RARE Opportunity to own not 1 but 2 “Jeweled CROSS’” of incredibly Rare varieties!